During China's war with Japan, and about the time of the bombing of Pearl Harbour, 100 decommissioned Military pilots signed up as the American Volunteer Group or AVG. Their primary role was to protect Stillwell's Burma Road and later to fly supplies into China from India across the Hymalayas. They were quickly nick-named the Flying Tigers after early successes against Japanese fighter planes over southern China and Burma. Once the British lost Burma to the Japanese, a new group of airmen, this time all military, and still under the command General Glaire L Chennault , flew suppies in from India. This dangerous route over the Hymalayas was nick-named 'The Hump' by the dedicated pilots who risked their lives on many occasions. 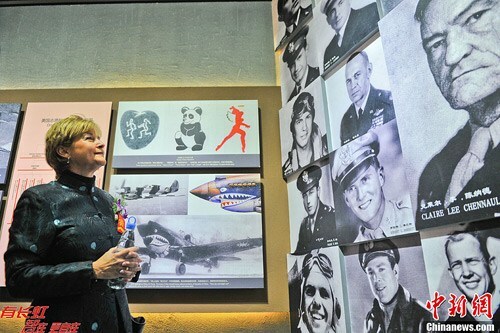 Chenaults men and planes were stationed in many locations including Guilin, Hengyang, Kunming and Chongqing, China's wartime capital. 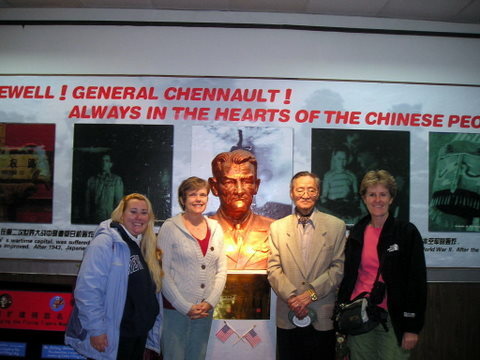 A visit to the Flying Tigers memorial is an interesting one and you may just bump into one of the pilots who settled in Chongqing after the war and never left. The Stillwell Museum is across the street and both can be visited in a few hours. Getting there: By taxi or take the Light Rail to Fotuguan and walk down the street.